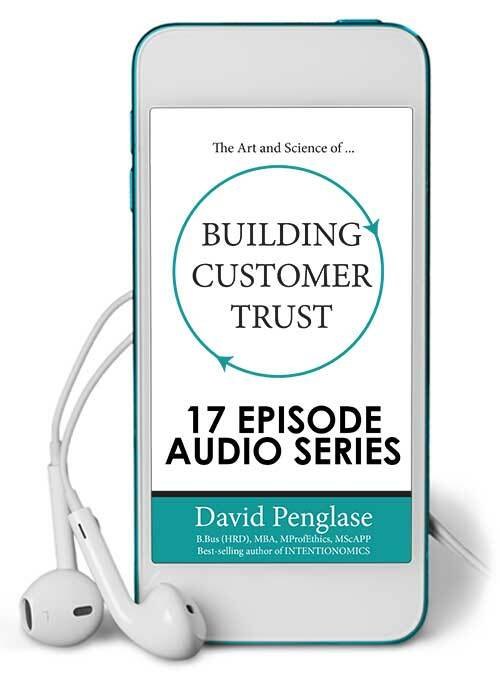 The Building Customer Trust Audio Series is the perfect way to stay focused on actions that keep customers at the core of your business. Each week over seventeen weeks you’ll receive an email and link to your 3 to 4 minute audio episode. Here’s a great way to pattern interrupt all the noise in your work life and invest just 3 to 4 minutes a week and be inspired to take action on earning, building and maintaining customer trust. Click the play buttons below to listen to a couple of episodes now. Now you’ve had a chance to experience a few of the episodes, when you purchase the Building Customer Trust Audio Series, I will very much look forward to guiding you each week for the next seventeen weeks to boost your success. Enquire about booking David for your next event! If you'd like to chat personally with me, give me a call at our Sydney office on +61 2 9546 2492. Or if you'd prefer, please take a moment to let us know how we can best help you, and we look forward to chatting with you soon.